19' 6" 19' 6" 14' 6" 2' 9" 26' 6"
Approx. trailering wgt. : 4,000 lbs. Over 700 of these shippy-looking little sloops were built between 1965 and the early 1980s. Alberg's designs are so distinctive that his trademark look is hard to miss. 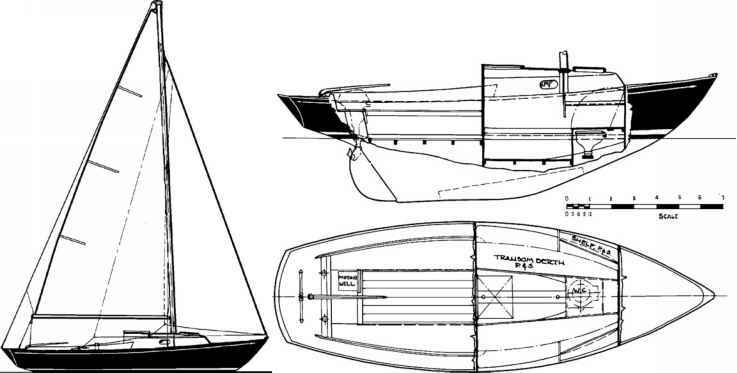 For example, compare this boat with a near lookalike, the Cape Dory Typhoon 18 (19) on page 23. 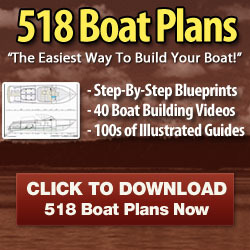 The resemblance is striking, at least until one realizes that the smaller boat is not only a foot shorter but also almost 1,000 lbs. lighter. In any case, while not usually seen on the racing circuit, like most Alberg designs, this one is a solid, wholesome, forgiving, and easy-to-sail vessel, great for daysailing and overnighting in that harbor a few miles away from your home base. Best features: The Corinthian's springy sheer, extended overhangs fore and aft, and reasonably good finish make her a pleasure to behold. Her in-the-cockpit engine well (an optional extra when new) offers convenience to the helmsperson, and because of her hull shape, keeps propeller cavitation in waves to a minimum. Worst features: Her SA/D of 15.3 is in the "very low" category, and her D/L of 399 is considered very high, making her relatively slow in light air (but relatively stable in heavy air).